A multi-discipline pre-season launch of Yamaha’s official racing teams, from WorldSBK to off road and back again, took place at 11am on 7 February 2016, at the racing headquarters in Gerno di Lesmo, near Monza. 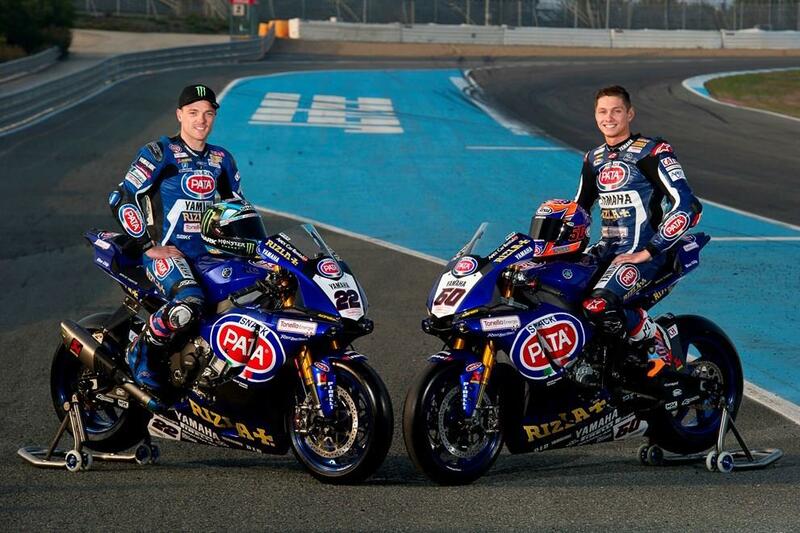 The WorldSBK focus was is the relatively youthful line-up of Alex Lowes and Michael van der Mark, on the heavily revised YZF-R1. With sponsorship from Pata and Rizla the final paintwork and image was unveiled. Taking into consideration all of Yamaha’s WorldSBK paddock presences, there will be a total of 12 Yamaha official riders in ’17, across several classes. And a further seven will compete in the colours of ‘Racing Blue’ in the FIM Endurance World Championship. For the WorldSSP class Federico Caricasulo and Lucas Mahias presented their all-new YZF-R6 machinery. STK1000 riders Florian Marino and Roberto Tamburini will take the YZF-R1 into a new adventure. integral to their bLU cRU status, will compete for a place on an official R6 Yamaha in the WorldSSP ESS Championship in 2018.